Paul has been a large contributor to this site, with his many personal photos and a collection of vintage shots as well. 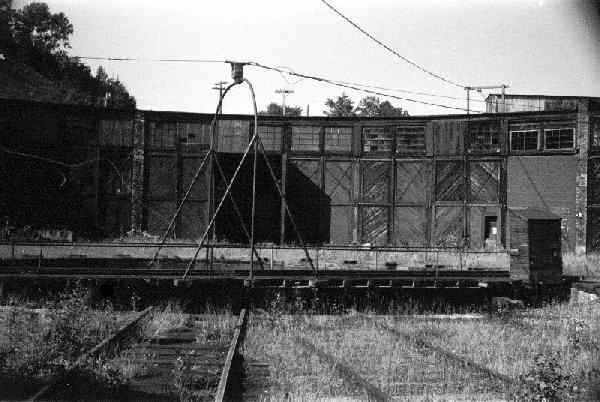 He has also published many fine articles on modeling this area, as many of you know who are fellow railroad buffs. His classic series in Railroad Model Craftsmen was the spark, for many people I have met, that got them interested in modelling this area. Many thanks to Paul for his support of Copper Country history, and especially for his help at the Copper Country Depot answering questions. 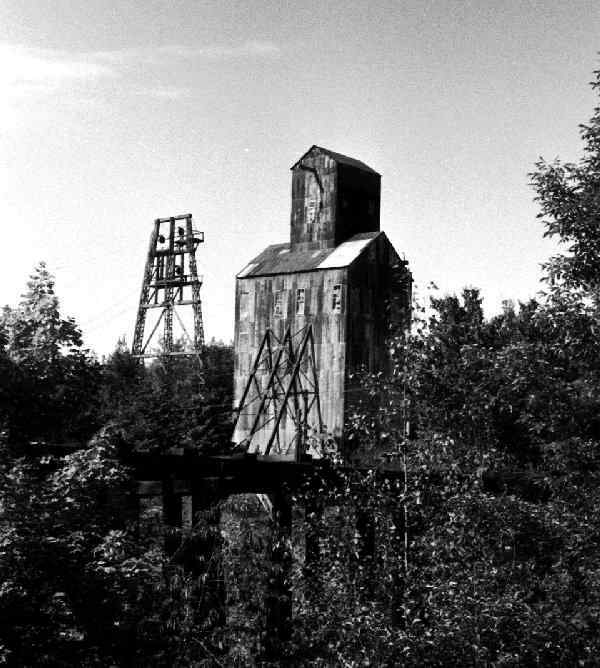 More of Paul's collection can be found all over this site via my images page or Paul's collection of Calumet area photos are available on Chuck Voelker's site. Looking west in Houghton Yard. 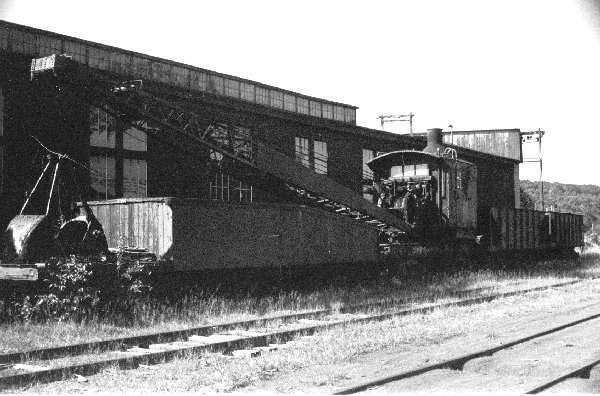 Copper Range hopper #3004 in Houghton. 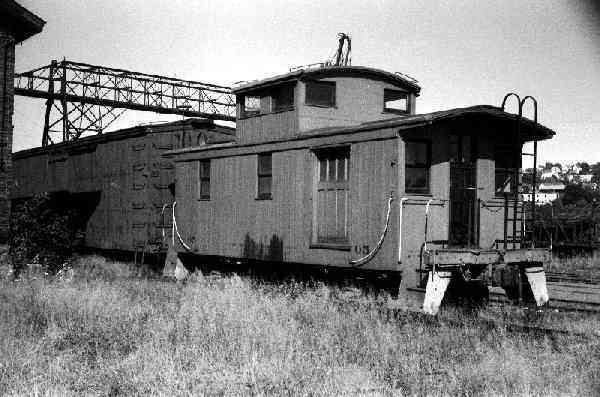 Copper Range caboose #05 in Houghton. 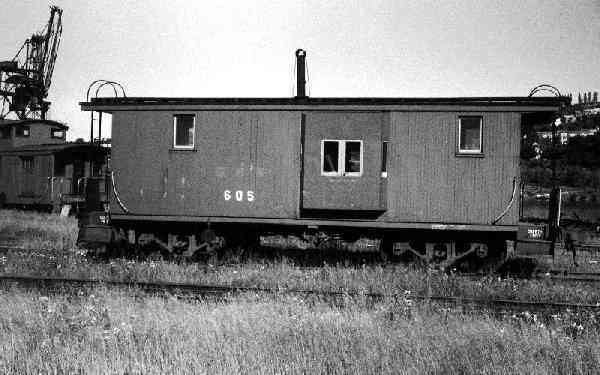 Copper Range (ex-Green Bay & Western) #605 caboose in Houghton. 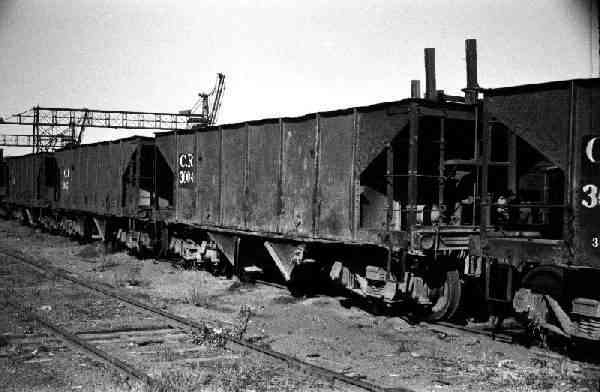 With GB&W marks visible under the paint. Looks like an interesting modelling project, has anyone tried it? 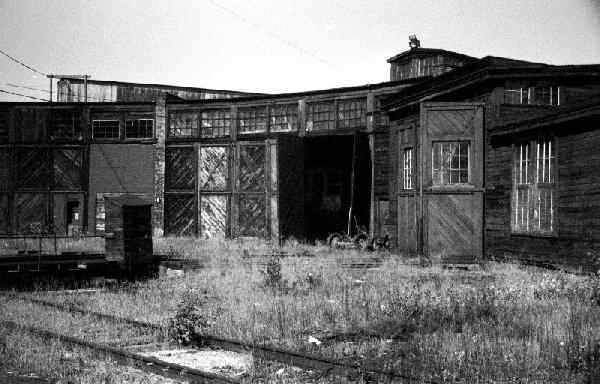 The roundhouse in Houghton, notice the engine headlamp on the top. Copper Range crane in the Houghton Yard. This photo is from the Paul Meier collection and was taken between 1915 and 1917 on Kearsarge St. in Painesdale. 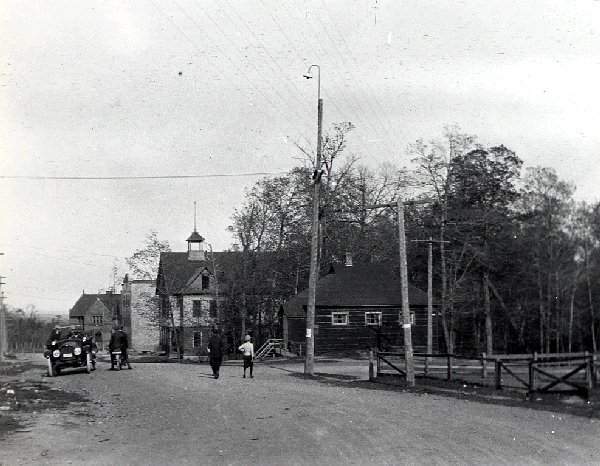 The car in the left of the picture contains Paul's Great-grandfather Anton F. Haun and two of his sons. Fredrick Haun, Paul's grandfather took this photo. You can also see the Finnish Temperance Hall, followed by the Opera house and in the distance the Sarah Sargeant Paine Memorial Library, all now just a memory. 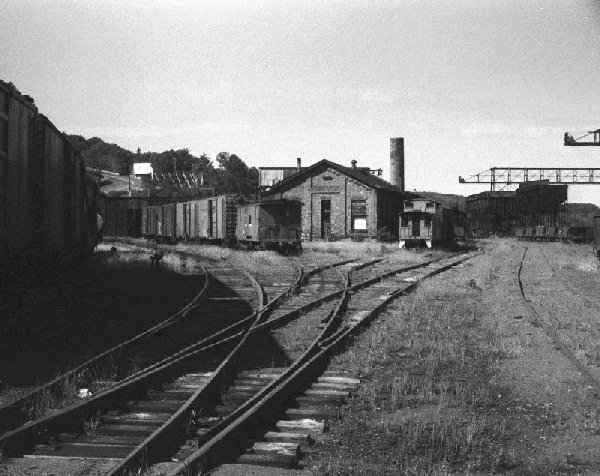 2 photos from Paul's collection of the Painesdale Depot. 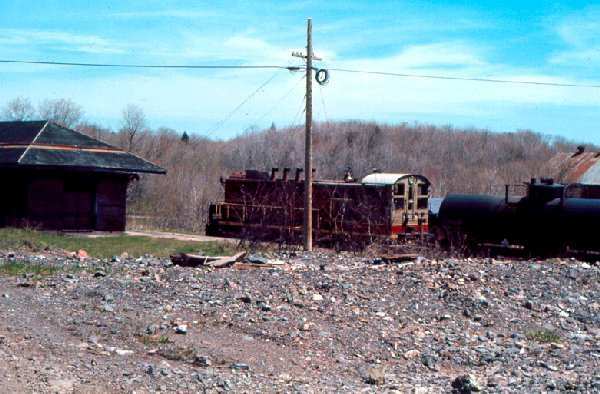 The color shot was taken by Paul in May of 1970, his only photo of the Copper Range in operation. 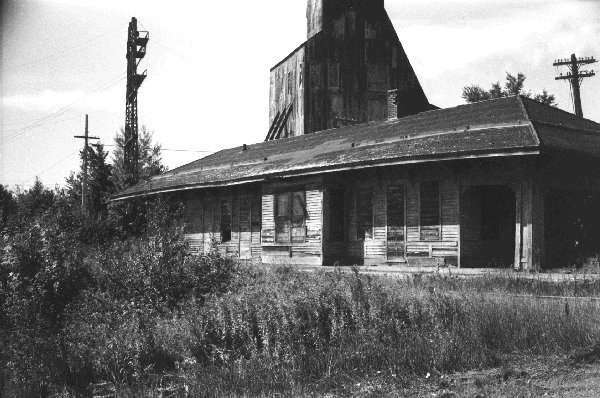 The black and white photo shows the sad state of disrepair of the depot shortly before it was removed.